The story of The George Foundation began in 1824 when Henry and Nancy Jones, as part of Stephen F. Austin's "Old Three Hundred," received a league of land along the Brazos River in the Mexican territory known as Tejas. Through hard work and perseverance, the couple and their twelve children built a successful farming and ranching operation in the new wilderness. The Jones’ eldest daughter, Mary Moore “Polly," inherited the majority of the family’s assets. By the age of 18, Polly’s sound stewardship of the estate propelled her to become one of the largest landowners in the region while also building a reputation as a selfless citizen. Polly was known to brave harsh conditions to travel across the countryside to provide medical aid to the sick and offer resources to neighbors in need. In 1845, Polly married Colonel William Ryon who helped her build a farming and ranching empire amassing more than 22,000 acres of land. Polly Ryon continued to serve as the family’s matriarch from both business and charitable perspectives until her death in 1896. 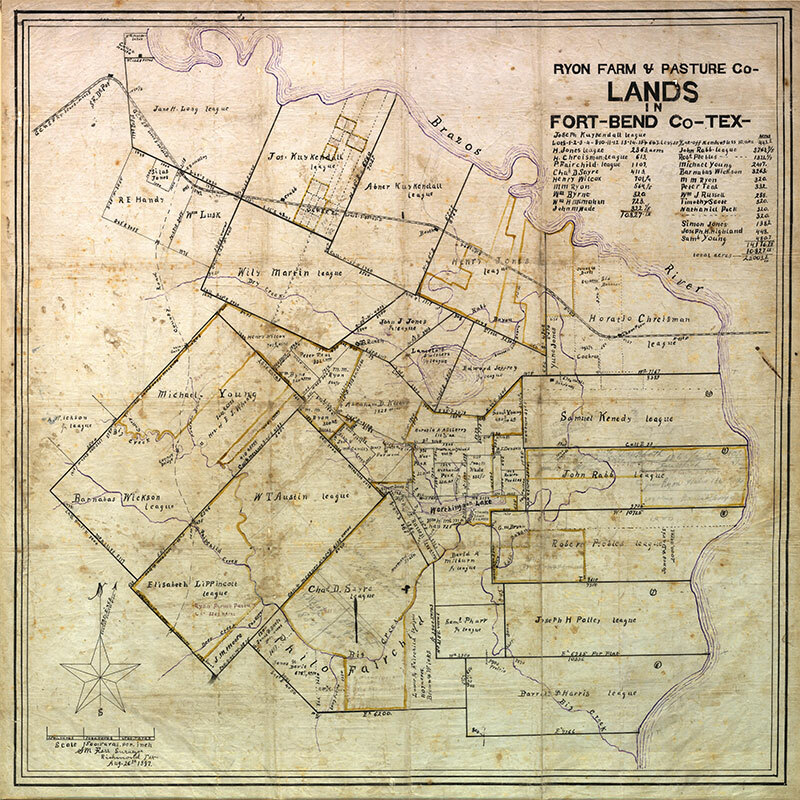 At one point, the Ryons owned or leased over 80,000 acres or roughly 10% of Fort Bend County. Polly’s eldest living daughter, Susan Elizabeth, married local businessman and civic leader “Judge” J.H.P. Davis and continued to build the family’s prosperity. The Davises had three children before Susan’s untimely death in 1884. The Davis’ only daughter, Mary Elizabeth, affectionately known as “Mamie” to friends and family, was the final member of the lineage to inherit the family’s landholdings. Mamie married Albert P. George, a former employee who was raised by Mamie's grandfather, in 1896, and the couple moved back to the original homestead to continue the ranching legacy. Albert’s business acumen and passion for the cattle industry continued to enhance the family’s prosperity while Mamie’s compassion for those in need and desire to give back generated great, yet unsought, admiration within the community. 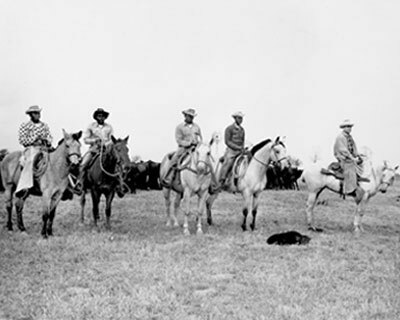 Legendary black cowboys, including Buster Jackson (center), were an integral part of The George Ranch’s successful cattle operation. In the 1920s, the discovery of oil on The George Ranch elevated the family’s wealth to an unforeseen level. However, along with unexpected prosperity came tragedy. The Georges' only child, Davis George, died of infant cholera at the age of two. Years later, Mary Jones, the Georges' beloved niece and apparent heir to the estate, died in a tragic car accident while returning to the ranch after a trip to Houston. 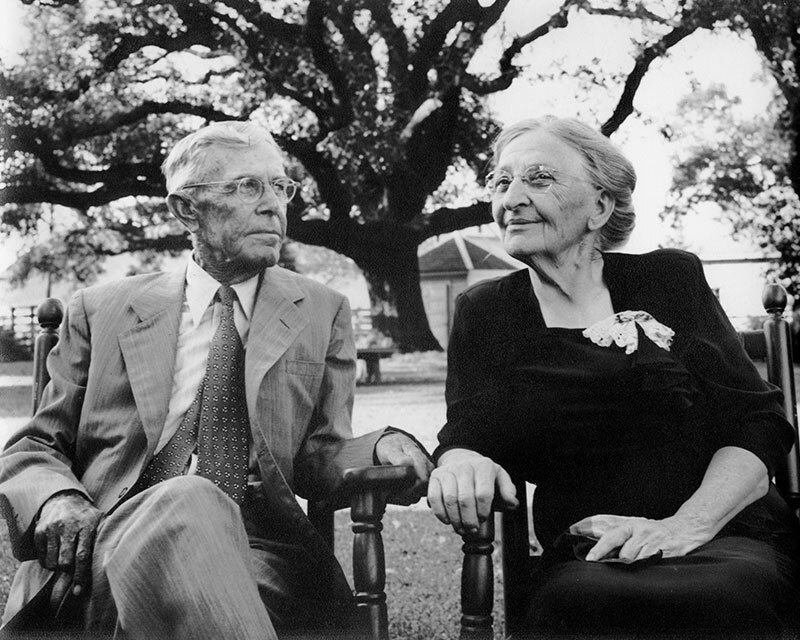 With no living heirs to their estate and a strong desire to give back to the community that blessed their lives, Albert and Mamie George established The George Foundation in 1945 “for the use and benefit of the people of Fort Bend County.” Originally seeded with $10,000 and fully funded after Mamie’s death in 1971, the Georges' vision of creating a lasting impact on the community has been realized. To date, The George Foundation’s Board of Trustees has had the privilege to award more than $180 million in grants to Fort Bend County nonprofit organizations and scholarship recipients and will continue Albert and Mamie’s legacy of giving into the future. Albert and Mamie George established The George Foundation in 1945. To partner with the community to leverage the Foundation’s resources to positively impact Fort Bend County and its residents. 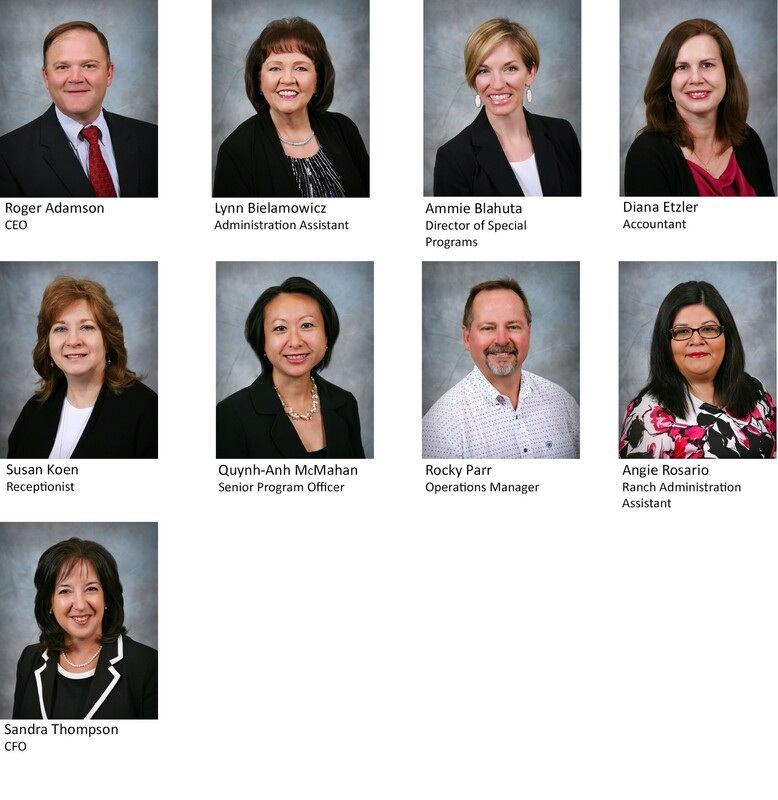 A thriving nonprofit sector that addresses critical community needs, enhances the quality of life and provides opportunities for Fort Bend County residents. Not pictured: Jack Moore, General Counsel, Lytle & Moore, LLP. Operations Staff: Donald Coleman, Raymundo Garza, Aaron Kalinowski, David Miculka, Trebor Poncik, Paul Rychilik, Lindsey Silhavy & Kris Witek. Monday – Thursday 8:00 a.m. to 5:30 p.m.